Time to brush up on your “bom dia”s and “obrigado”s — the International Surfing Association just announced the host for next year’s ISA Worlds: Brazil. The 2018 championship event – the 7th annual edition – will be hosted in Brazil from November 23 – December 1 (dates are tentative, according to the official release). 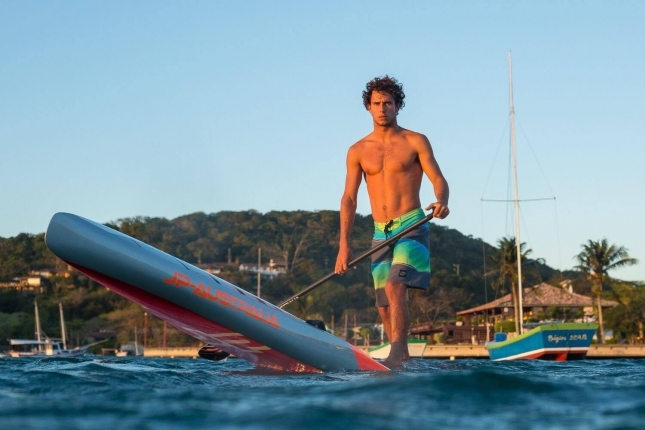 The venue is the postcard-perfect resort town of Búzios, which sits on the coast about an hour north of Rio de Janeiro and has a long history of hosting domestic SUP races. Today’s announcement will give both the host nation and teams from around the world almost an entire year to prepare, which is very good news. However, the proposed dates do run extremely close to the big races in Paris and Perth — the ISA originally had this event penciled in for October, so I assume the “tentative” nature of the dates means it may be brought forward slightly. But for now, plan on the final week of November. Muted talk about Brazil started swirling back at the Worlds in Denmark, but the deal wasn’t officially confirmed until a couple of weeks ago. Other host nations that got thrown around in the annual ISA rumour mill included France, Tahiti, Israel and South Africa, however I don’t believe any of them made a formal bid this year. 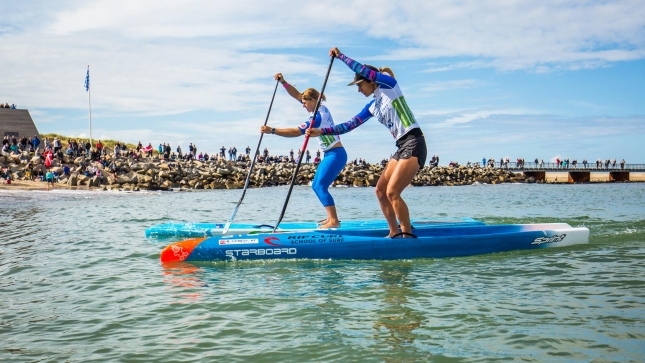 The success of finding a host nation for what is a relatively expensive event is a triumph for the ISA, especially given their battle with the ICF over the Olympic side of the sport (the ICF is expected to announce their own SUP “world championship” shortly). 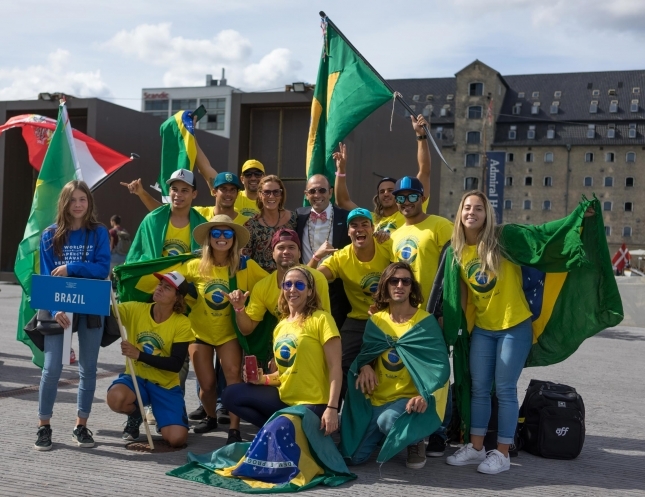 While we might see a drop in participating teams given the logistics of traveling to Brazil (Denmark and its ease of access in Europe helped set a record for participation), no doubt this event will provide the ultimate festival atmosphere. 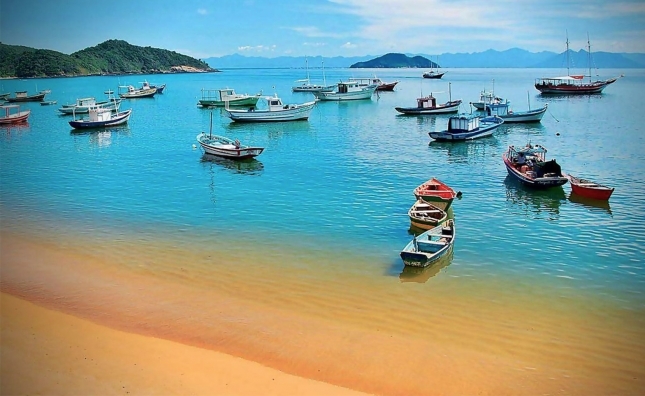 Búzios is a beautiful beachside location, while anyone that’s ever visited the country will tell you the locals know how to have fun (can the Brazilians beat the Danes and host a record number of after-parties?). “There’s something special about Brazil and the passion the community has for surfing and SUP. I think it’s going to add even more energy to the event. It was incredible experience to be the host in Denmark, though I certainly look forward to merely being a guest at the 2018 ISA Worlds! Vinni is of course Vinnicius Martins, Brazil’s best-known and highest-ranked racing export over the past half a decade. I chatted with Vinni last week and got his thoughts on the imminent Brazil announcement. Not only is the ISA event coming to his home country, Buzios is actually Vinni’s hometown, which gives him the honour of being the unofficial “host athlete” for the event (though first he’ll have to qualify for the national team — no small order given the level of talent in Brazil these days). In other news, the ISA is expected to confirm to national federations this week that, starting in 2018, all ISA events will be 14′ instead of 12’6 (for both men and women), which would be a positive step that should go a long way to helping resolve the infamous board class debate. The 2018 ISA Worlds in Brazil is a collaboration between the Brazilian Sports Ministry, the City of Buzios and the Brazilian Surfing Confederation (CBSurf), which shows the commitment this nation has to surfing-related sports. Surfing has cemented itself as a top 10 sport in the Brazil over recent years, which will hopefully trickle down to stand up paddling in terms of support from government and corporate sponsors as well as general participation numbers. The Brazilian surfing and paddling community is one of the most passionate and dedicated on the planet (two of the past three WSL men’s world champions come from the Brazilian Storm), and I’m sure they’ll welcome the world with a warm embrace in 12 months’ time. While it’s a little too early to start talking form guides, many nations have already held their 2018 ISA qualifiers with the likes of France and Australia set to field impressive squads (though again, that depends on the Worlds avoiding a clash with the big Aussie downwind races in late November/early December). Although we’re almost full 365 days out from the event, I don’t think it’s much of a risk to say Oz/France will start favourites for the prestigious team trophy (assuming they send their top talent). But could the home team cause an upset? For sure. In addition to Vinni, Brazil has produced dozens of world-class paddlers including Caio Vaz, Nicole Pacelli, Guillerhme dos Reis, Aline Adisaka, Leco Salazar and this year’s SUP surfing gold medalist Luiz Diniz. Their talent pool runs deep, and the passion to perform on their home turf could make all the difference. Simply just qualifying for the home team will surely be intense, as will the competition on the beaches of Búzios in November, 2018. But no matter who wins, one thing’s pretty much guaranteed: if we’re going to Brazil, it’s going to be a fun event. Hit up isasurf.org for today’s full announcement.